Finding cheap china cabinets (under $1000) can be very difficult. However, you can find these types of china cabinets if you are willing to be flexible on the design. A china cabinet is usually comprised of a base, which has two or three drawers, and a top hutch that usually has several shelves. The top part can be enclosed by glass or wooden doors, or it can be open. Typically, china cabinets cost anywhere from $1200-$5000. These types of china cabinets are a big investment in home furnishings. 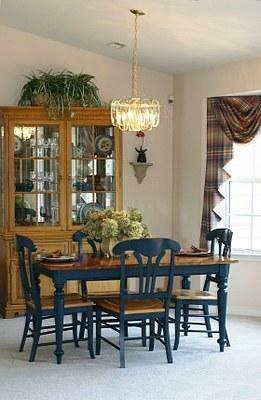 However, if you have limited space and a limited budget, these big, expensive china cabinets are simply not an option. Fortunately, there are smaller, less-expensive options. The following three options for new, cheap china cabinets cost anywhere from $199 to $980. One good option is a corner hutch. A corner hutch looks very similar to larger china cabinets. However, they are not as wide and are designed to fit conveniently into an unused corner of your kitchen or dining room. A typical corner hutch may have only two glass doors on the top and two wood doors on the bottom. Another option would be a curio cabinet. This type of cabinet is typically encased by glass from top to bottom. They are mostly designed for storing fragile collectibles. However, you can display whatever you like in a curio cabinet. Your fine china would look just as good in this kind of cabinet and would be protected as well. The third option is a smaller, less expensive china cabinet. Some of these cabinets look like a large curio cabinet, with wood framing surrounded by glass sides and doors. Others have the solid wood cabinets on the bottom. You can also buy just the base, called a buffet, that has sliding glass doors so you can still display what's being stored inside. There are also options to find full-sized china cabinets that are cheap. These options include both new and used china cabinets. The type of wood that a china cabinet is made from can have a big impact on the price. Most higher-priced china cabinets are made from solid hardwoods such as oak, maple, cherry and walnut. You can find larger china cabinets made from pine that are priced under $1000. Does this mean you can't find a full-sized china cabinet made from a hardwood such as oak for under $1000? No, it is possible but not very common. Finding a new, full-sized oak china cabinet for under $500 would be almost impossible. If you have your heart set on a full-sized china cabinet that is made from quality hardwoods such as oak, maple, walnut or cherry and your budget is tight, try looking for a used china cabinet that is still in great condition. Most people who own china cabinets take really good care of them. This is where you can really score on an absolute bargain. Many times, if people are needing to relocate to another city or state for employment reasons, an upcoming marriage, death in the family, etc., they will try to sell most or all of their furniture to cut down on moving expenses. This is often a great opportunity to find high quality furniture at a fraction of the price that it was worth brand new. Check the classified ads in your local newspaper and keep a close eye on sites like eBay and Craigslist. There is a good chance you can find a full-sized china cabinet for as little as $200 or $300. Don't forget to take careful measurements of the area that you want to place your china cabinet to make sure the one you choose will fit.